I am excited to have a wholehearted “YES” from the Board, the staff and the community to continue the restorative work that has already taken root last year. I am very much looking forward to engaging and supporting healing in the community both directly through personal connection and calls, workshop offerings, keeping circles that I offer, where I am invited and requested, and behind the scenes, training and supporting those community members who will themselves support dialogue and healing in restorative ways. Reverend Steve and I are going to work closely together to realize the mission in the community: practicing love, exploring spirituality, building community, and promoting justice. For me, the needs of every person and every perspective matter. We all have needs to be seen and heard, and for our needs to be met with compassion. My request, is to hear and connect with as many of you as possible. I cannot do that without your help. Will you engage with me? This is the first step. I do not assume trust. Those of you who are weary, I want to meet with you, I am available and retained to hear what’s painful, and what you need, (individually, or in groups), I know in my heart and my experience, that trust takes time, and I am here for exactly that, to support the rebuilding of trust. I have the skills. My need is for the joint responsibility of showing up, hearing and holding everyone’s needs, together and one conversation at a time, we can fully heal and create blessed community. 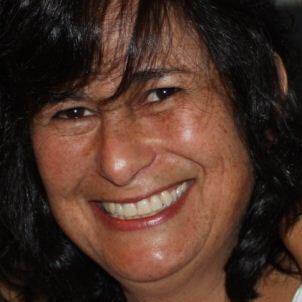 Pam Orbach (A Center for Restorative Solutions) is a Restorative Justice practitioner, mediator, circle keeper, Nonviolent Communication (NVC) consultant and trainer. In addition, she also is an executive ‘Self Leadership’ coach, an independent mediator. She is moved to support the accessibility of restorative compassionate consciousness and practice in the world – a paradigm shift – involving increased self-awareness, authentic communication, and integrity in action and decision-making. Pam’s practice is grounded in Dominic Barter’s model of Restorative Circles. Her ongoing engagement and learning in peacemaking, talking circle, equity conscious and a compassionate practice of active nonviolence deepens her particular approach to community building and conflict transformation. Her work is informed by her previous experience teaching both middle and high school, and her years supporting conflict between parents and teens/youth for the City of Bellevue, where she supervised a parent teen mediation program. Pam designs and delivers trainings and dialogue for organizations and communities with a commitment to peaceful compassionate change in the world. Her method augments an alignment of organizational direction with personal values.